At SoClean N Cozy, we take care to provide our customers high quality services personalized for their unique needs. Monday through Friday- 8:30 AM to 6:00 PM. 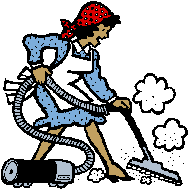 For one-time and emergency cleaning, we are available Saturdays from 9:00 AM to 5:00 PM. •Vacuum carpets/furniture, including under cushions.